Have you ever wondered who is responsible for the beautiful flowers and plants in the planters on the forecourt and platforms at Forest Hill station, the distribution of over a 100 plant-filled tubs outside businesses and shops last summer (supported by the Forest Hill traders), and planting bulbs in Horniman Triangle, to name but a few initiatives? Well, her name is Quetta Kaye! 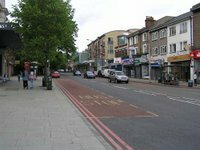 As Chair of the Forest Hill Society’s Environment Committee, Quetta is the driving force behind many high-profile green initiatives in Forest Hill’s town centre and surrounding green spaces. Quetta would be the first to say that she has not achieved this alone; she inspires a team of committed FHS members and other Forest Hill residents who volunteer when they can. She also works closely with local businesses in Forest Hill to support her. “If you don’t ask, you don’t get” is her motto when getting things done! Quetta and her team’s hard labour has indeed borne fruit in the form of ‘Outstanding’ awards for Forest Hill from the Royal Horticultural Society’s ‘London in Bloom: It’s Your Neighbourhood’ category for the second year running in 2014! Quetta is often asked about her unusual name, which is a diminutive of the name Jacquetta, a feminine form of the French Jacques. Originally from a small village on Dartmoor in Devon, Quetta moved with her parents when she was a child to the Kent coast. These rural surroundings and her appreciation of the open air have stayed with her and shaped her life ever since. From Kent, Quetta moved to North London to study and work but, contemplating having children, she ‘reluctantly’ moved to Forest Hill 40 years ago, where property prices were cheaper. She was soon very pleasantly surprised by Forest Hill: the accessibility to green space, parks (particularly Horniman Triangle park), and even woodlands close by, in addition to her own garden. Added to this, Quetta was impressed with good local schools, the Horniman Museum and Gardens, the local swimming pool and library, and good transport links both into central London and to Kent. This all proved to be a happy place in which to bring up her three children. Quetta spent an interesting period working in politics at the Houses of Parliament, as Personal Assistant to various backbench MPs. Quetta was also able to work from home before flexible working became mainstream whilst bringing up her young children in the late 1960’s and 70’s. When her youngest child started school, Quetta fulfilled a lifelong interest to study Archaeology at University. 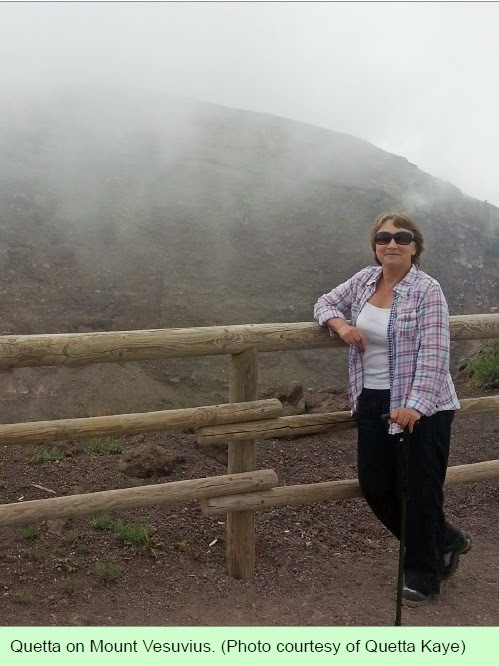 She was soon working on excavations in England but for the last 12 years has co-directed an excavation project on Carriacou Island in the Caribbean, during which time she completed a PhD, looking at aspects of pre-colonial Caribbean archaeology. Quetta strongly believes that individuals can make a difference if enough of them do the same thing at the same time and stand up for what they believe in order to effect change. She believes that participation in community-led pressure groups, like the Forest Hill Society, is a great vehicle to improve the life of Forest Hill residents. 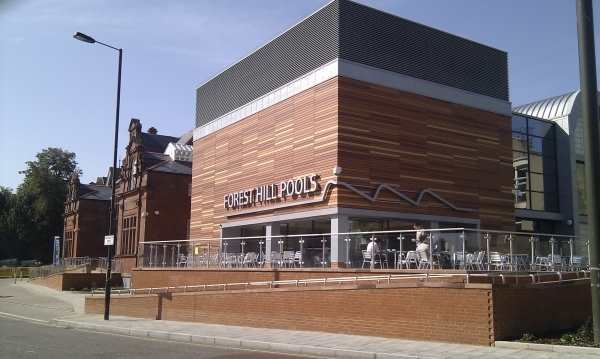 Quetta joined the Forest Hill Society after getting involved in the campaign against the closure of the Forest Hill swimming pool, where she met members of the Society. Quetta then attended an AGM where she volunteered to join the Environment Committee — a natural place for her, given her background — and became the Chair in 2009. Quetta has plans for the coming year to win a third Outstanding award from the RHS (to qualify for the Champion of Champion award! ), and plant hops on Platform 1 at Forest Hill station perhaps leading to the creation of a Forest Hill pint to rival Crystal Palace’s Palace Pint. This is a real step forward considering several years ago, Forest Hill station had plastic flowers hanging in baskets! More broadly, Quetta is also keen to see improved signage in Forest Hill, the removal of some of the ugly street furniture, and more environmental initiatives such as working with Sydenham School’s girls who recently picked up five large bags of litter along Dartmouth Road in one hour! She is also keen to make better use of the car park in Perry Vale, behind Forest Hill station, suggesting that even a simple, sloped wheelchair access path from the car park onto Platform 2 would be a good start! If this profile has inspired you to get involved or help make Forest Hill greener, please contact the Forest Hill Society now! Everything's Going to Look Bloomin' Marvellous! Woodlands — Springing Back to Life!